No matter the occasion a custom t-shirt is a great way to make a personal statement. Whether it's for a stag or hen do, or a special anniversary celebration, we all have photos that would create a talking point and will bring back fun memories. If you want to go for a message only we have a range of fonts and colours to choose from. To start creating your t-shirt, simply order online or visit your local store for some inspirational ideas. Design your own t-shirt and be a true fashion icon. Make a statement with a personalised t-shirt that you created yourself. 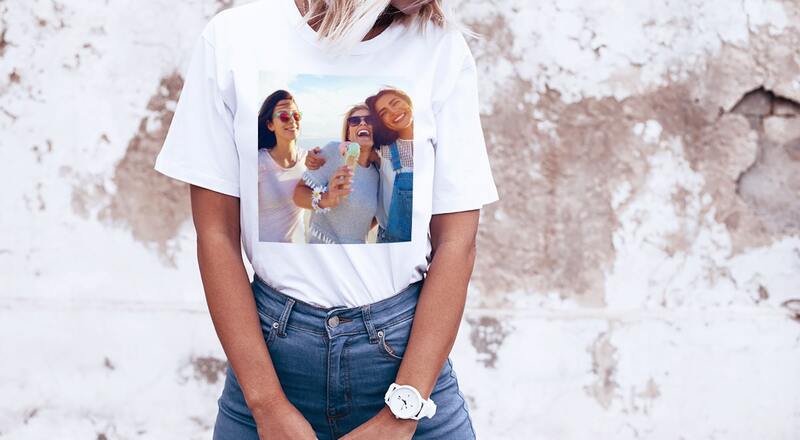 We offer a range of t-shirt sizes from small to extra large, and a number of design options - our double sided photo t-shirts means you can include a photo on one side, and a slogan or message on the other. 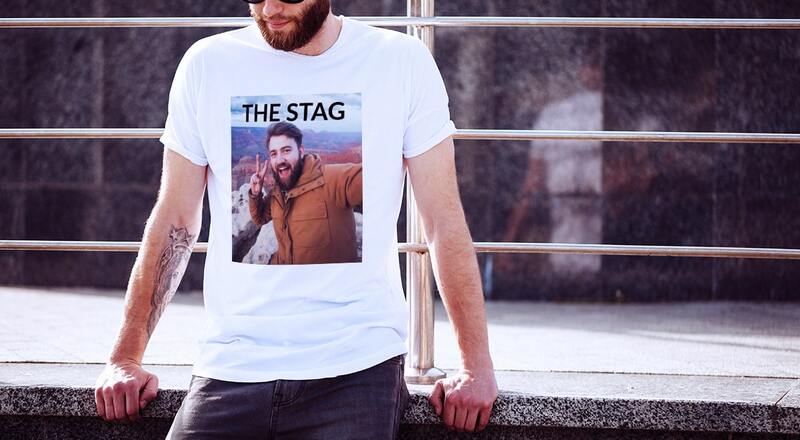 Creating your personalised t-shirt is easy with our online t-shirt design tool, ideal as a one of a kind gift for a special occasion or for when you want to stand out in a crowd of plain printed t-shirts. Show someone you care, create your t-shirt today and share memorable photos in a playful way!